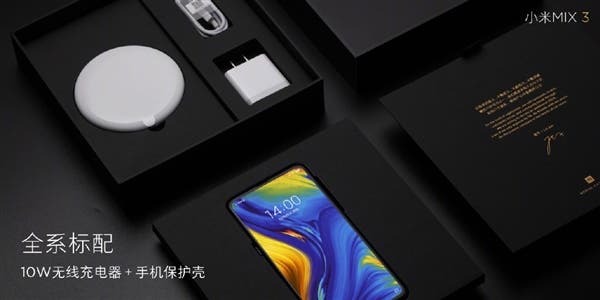 This afternoon, Xiaomi officially released the new generation flagship smartphone, namely the Xiaomi Mi MIX 3 in the Palace Museum. 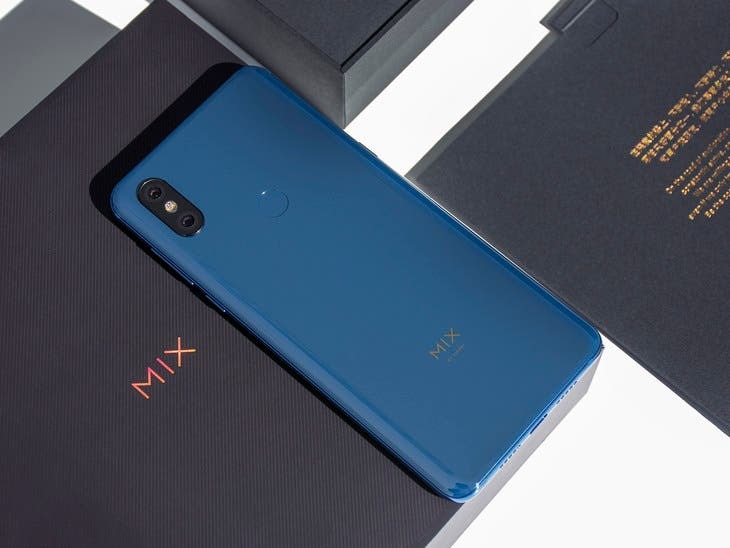 It’s considered to be a business flagship, with the highest configuration of Snapdragon 845+10GB+256GB, at the same time using a magnetic power slide full-screen design. But this is also a great cameraphone, scoring up to 103 points in DXOmark. 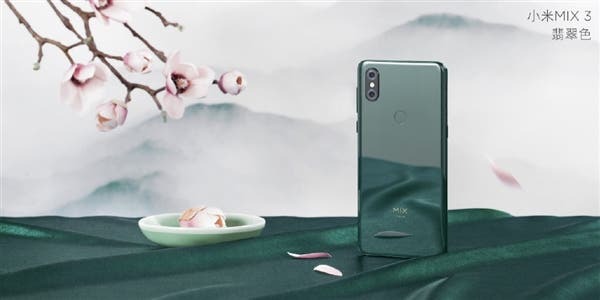 Thus, it ranks third after the Huawei P20 Pro and Apple iPhone XS Max. Honestly, the DXOmark scores of the HTC U12+ and the Samsung Galaxy Note 9 are the same as well. 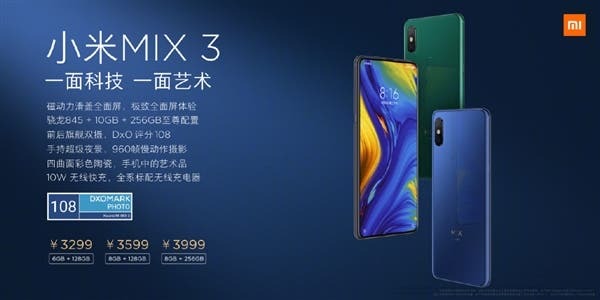 But the Xiaomi Mi MIX 3 is ideal in terms of price over performance ratio. 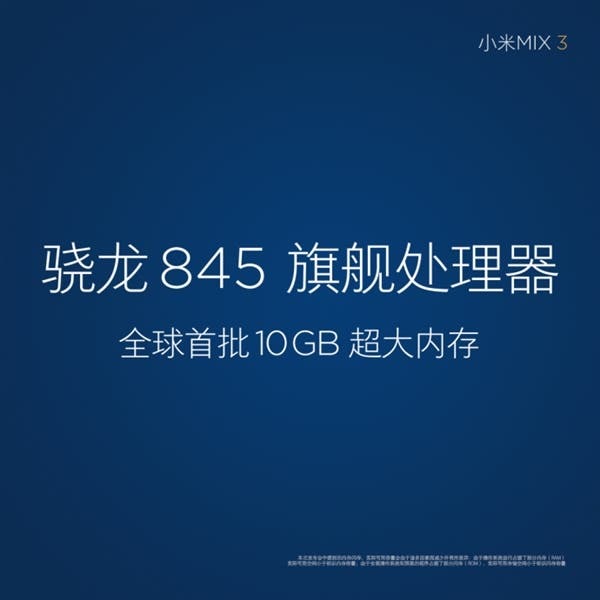 The 6+128GB variant costs 3299 yuan ($475), the 8+128GB variant is available at 3599 yuan ($518), and the 8+256GB model costs 3999 yuan ($575). There is also a special edition of the Forbidden City, equipped with a 10GB + 256GB storage combination and priced at 4,999 yuan ($719). Of course, this handset is not cheap. But it’s still quite attractive when compared with other top-notch models from the same category. 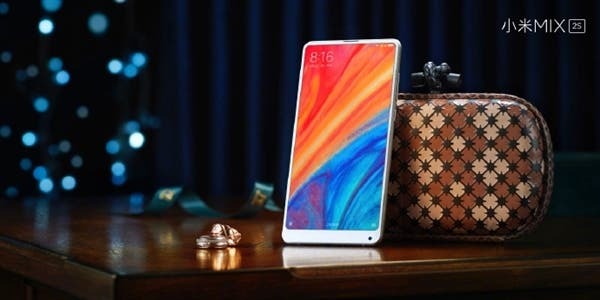 As for the key features, the Xiaomi Mi MIX 3 sports a 6.39-inch AMOLED screen, with a resolution of 2340×1080, an aspect ratio of 19.5:9, and an ultra-high screen ratio of 93.4%. The chin is 4.46mm only. So the front panel is almost wholly occupied by the screen. 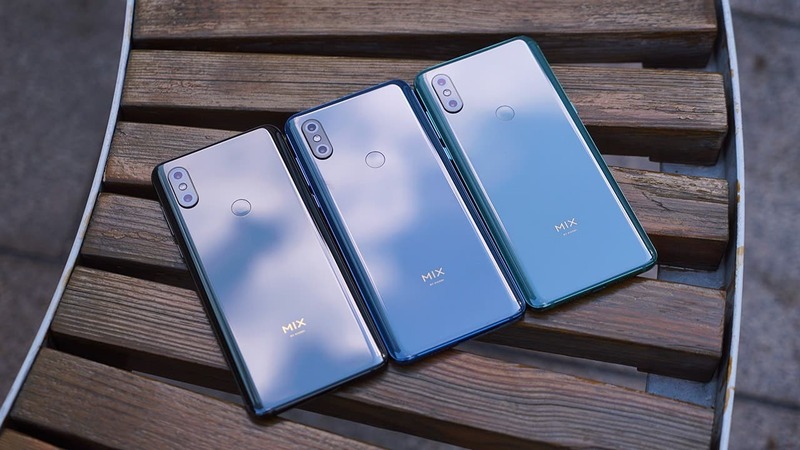 The quad-curved body is made of ceramics, which is available in black, emerald, and sapphire blue. As we said, the front-facing dual-camera uses a magnetic power rail with a life of up to 300,000 times. By the way, the average slider phone’s life is only about 100,000 times. 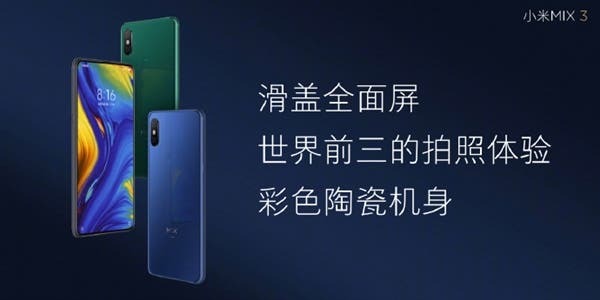 Xiaomi also customized 5 kinds of sliding screen sound effects for the Xiaomi Mi MIX 3, including technology, rivers and lakes, machinery, smart, and lighter. The phone’s sliding screen also supports ‘slide and launch’ feature. You can set any app to automatically launch when sliding. The Xiaomi Mi MIX 3’s main camera maintains the same configuration as the Xiaomi Mi MIX 2S. If you remember, it comes with a 12MP wide angle sensor (Sony IMX363, f/1.8, 1.4μm, 2PD dual-core focus), which is accompanied by another 12MP telephoto lens (Samsung S5K3M3+, f/2.4, 1.0 Mm pixels). 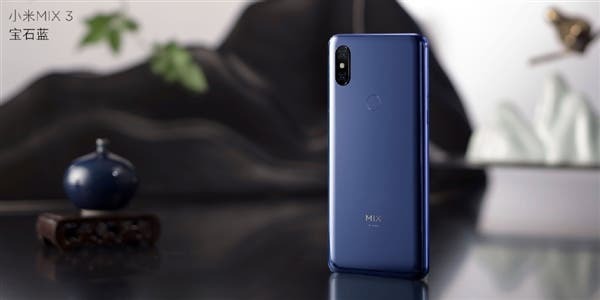 This camera supports optical zoom, four-axis optical image stabilization, portrait mode, AI scene camera, etc. But the company has made a few improvements. 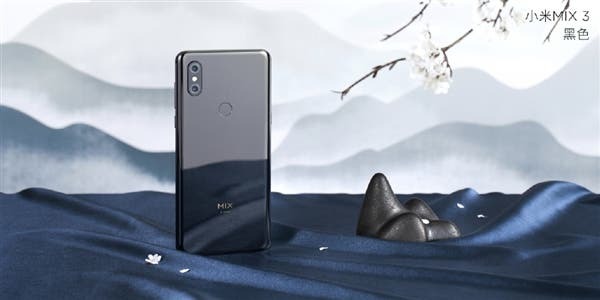 It is mainly optimized the software algorithms, including handheld state intelligent detection, AI smart metering, optical image stabilization, AI landlord auto-calibration, and many more. The new handheld night scene mode also supports a slow-motion shooting with 960fps. On the front, the Xiaomi Mi MIX 3 sports a dual-camera with a 24MP+2MP sensors combination. As you guess, they are hidden behind the screen. At last, this flagship supports 10W wireless charging. It will go on pre-sale today at 6 AM and will be officially released at 0:00 on November 1. The only exception is the Forbidden City version, which will be available at the end of November.